Does Your Writing Evoke Emotions? Mark Schroeder, a Twitter follower, recommended this book to me and as I read, underline and highlight the text, I can better see what I am attempting to accomplish as a literary artist. As writers, we have definite thoughts in mind as we write. We care about our characters and we hope we can evoke those same emotions in our readers. In of A Golden Leaf in Time Revised, neither Phoenix nor Trey have found the peace that they deserve; yet they are both good people who are trying to excel on their jobs. But, their love lives are in tatters and almost cost them their livelihoods or income; hence, the ability to take care of themselves as single professionals. 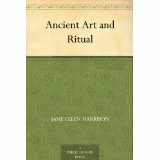 Also, from the same book, Ancient Art and Ritual, this line touched me because it states what I was attempting to show. “Instead of asking a god to do what he wants done, he does it or tries to do it himself; instead of prayers he utters spells.” Both of the main characters, Phoenix and Trey, realize that they are powerless in attempting to solve their problems without adding regular prayers into their daily lives. They see that they cannot dispel the dark forces without the aid of a Higher Power. So, my task as a writer, in this instance, was to evoke compassion for these two characters as they try to reach a more comfortable state. After my first author party, I looked at the pictures of some of the listeners and noted the seriousness on their faces, as I read from Golden Leaf. I could see that they were touched by the characters’ experiences and collectively agreed that this was no laughing matter. My task as a literary artist was accomplished during this particular gathering. How do you know when you have touched the desired emotions of your audience? Below are the answers to your questions. I really appreciate this opportunity and I hope I’ve given you and your blog readers a few more insights into my boaty world! 1. Is living on a houseboat more economical than living on land in the Netherlands? This is an interesting question because there’s not really a standard answer to it. Let me say first of all that living on the water is quite customary in the Netherlands. ‘Houseboats’ range from what are called ‘woonarks’ which are like chalets floating on concrete platforms, through old barges that have modern built superstructures and finishing with historic barges like the Hoop and the Vereeniging that I live on. The ‘woonarks’ are not cheap at all and are often more expensive than a normal house or apartment. Add to that the rent for the mooring or ‘ligplaats’ and the high maintenance costs and these are absolutely not more economical. However, living on what we call a ‘vaarklaar‘ boat, meaning that it’s motorised and can sail, is quite economical. They tend to be cheaper than a ‘woonark’ (although some are very expensive). That said, mooring is always a big cost and that is where the historic boats are better off. There are several historic harbours in the Netherlands and they are nearly all run by sort of heritage foundations, so we have cheaper mooring fees. The condition for that, though, is that we maintain our boats as historic monuments. Apart from this, living on board is no more or less than living in a house, but it’s much harder work! 2. Coincidentally, I have a character named Tyre in my book Warm Intrigues. 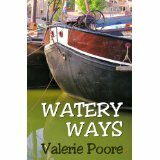 I saw that you used the word in Watery Ways. What is a tyre in the boating vocabulary? I don’t remember using this word other than as a fender. We often use old car tyres as protection between the boats when mooring up. Inevitably, the water movement means you cannot always avoid bumping into each other, so old rubber tyres have a second life serving as cheap, but rather heavy fenders. Lynn: Oh, in the States we spell car tires differently. 3. When the challenges of managing a houseboat alone became great, did you ever seriously consider looking for an apartment? Could you share a time, if applicable? No, I never considered it because I’d made a choice and I was determined to stick to it (I am a real Taurean bull – stubborn is my middle name). What appeals to me about living on a boat is that if you want to move, you take your house with you. Now I haven’t moved away from the harbour, but I’ve lived in many different parts of it, and that’s lovely. A change of scene without moving anything inside. The other great aspect is when you go on holiday or on trips, you always have your own things with you, so no, I didn’t consider it as this was and is the life I want. That said, I’ve had to spend a spell in an apartment recently due to family circumstances, and I’m very, very happy to be going back to my barge! 4. How important is the boating community to your survival? The boating community is not so much important to our survival, but it is important to our sense of belonging and being with other like-minded people. We have our harbour in the middle of a large, cosmopolitan city, but it’s more like a village. We all know each other; we all help each other; and if we are ever stuck or have a problem, such as hooligans throwing a gangplank in the water (which they do for fun now and then), there’s always someone to help. So, survival? No, not really, but for warmth, kindness and generosity of spirit, they are a very important part of our, and my, life. 5. What is one of the most precious things you gave up to the “water gods?” I’ll leave this one as I can’t really remember anything precious, but a lot of stuff has been offered up. 6. Are the festivals a time to showcase your skills, crafts and the boat itself? Please tell us why they are so important to the boating community. I’ve written quite a bit about the festivals and what they mean to the community in Harbour Ways, the sequel to Watery Ways, but yes, in brief, they give us a chance to put up information boards and other displays and to put on demonstrations of the traditional boating crafts like riveting, sail making, rope plaiting and all that kind of thing. 7. When the Hoop was put up for sale and you purchased the Vereeniging, was there a feeling of relief or a sense of added responsibility as you went from renter to owner? There was a sense of panic! I had to move rather faster than I really wanted, so when I started living on the Vereeniging, my lifestyle was even more basic than it had been on the Hoop. The story of how I turn my empty hull into a home is actually the subject of the sequel, Harbour Ways, but in truth, I didn’t have the time to worry about the responsibility; I had to get on with the business of building somewhere to live and undertake activities like plumbing and furniture making – skills I had to learn because (being a stubborn bull) I didn’t want to wait till someone had the time to help me! 1. The Tennessee Tremors title seems to be doubly symbolic. Why did you choose that title? Earthquakes, mostly small ones, are a regular occurrence in NW Tennessee (as you know.) Of course a big one may happen (such as the one that crated Reelfoot Lake) and that possibility was an important scientific factor I had to take into account when I led the construction of a very big plant in Dyersburg in 1987. So, earthquakes were always on my mind, as a threat to our huge investment. Personally, having lived and worked in Japan from 1970 to 1974 –to start up … a plant! … I was used to feeling a 4 or 5 on the Richter scale every two weeks or so. As you hint in your question, I used the tremors as symbols for events and feelings. I believe you feel the effect of events and emotional experiences, such as love, as much as a … tremor! 2. Do you believe that people need love in their lives to cope with difficult circumstances? Yes. If love is there, one can accomplish almost everything, because motivation and sources of support are always there. No love, no life. I mean love in the broad sense: family, friends, nature, the … universe! If we love all we will make the right decisions and feel accompanied by our support network to implement them. 3. Are you a reader of Shakespeare? I see that you uniquely listed your characters and also had them thinking aside to share their inner thoughts which were two of his techniques. I am not much of a Shakespeare reader, having grown up speaking Flemish (Dutch,) and for the last 15 years I have spent all my reading time on the South American literature: Garcia Marquez, Allende, Vargas Llosa, etc. I worked in Spanish for much of these years. I listed characters to help the reader with the “multitude” of players in the book. My use of the “thinking aside” is a personal preference. I believe it moves the story faster and more smoothly. It’s a more lively way to express thoughts. 4. You keep the reader hanging on the last page to see if Troy is okay. How were you able to keep us guessing? Well … I just kept reminding myself that keeping the reader guessing was my mission! I dropped a few hints about the real facts and quickly kind of minimized their importance. And I tried to raise grave suspicions about bad actors. I was actually happily surprised that for so many the denouement came as a real surprise. 5. Do you write in longhand or on a computer? Computer. 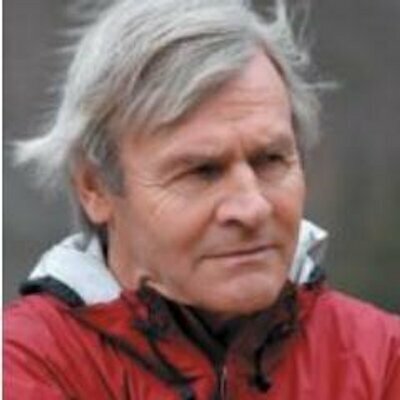 For the last 20 years I have lived with computer and BlackBerry, in areas as far away as Papua New Guinea or the high mountains of the Chilean Andes-mining country- my job for a while. 6. What did you want readers to basically get from this story from Dyersburg, Tennessee? 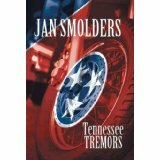 The reason I wrote Tennessee Tremors is my concern for the environment. In my corporate life, as a chemical engineer and manager, I have worked with poisonous cyanides, dangerous acids, ammonia, lead, excessive noise etc. I know how laws (if any) have been circumvented and how some industrial companies have made life miserable for citizens. I’ve seen it firsthand. The danger usually shows up in food, water, air. Sometimes it remains hidden, for a long time, in the soil. And from there it enters the food chain. I wanted, in my small way, to make people aware of those facts, and of the lack of concern that still permeates much of the industrial world. ‘Profits first’- rules the world. I write thrillers because I want to deliver messages without preaching. I’ve tried to do that in all my thrillers and make readers conscious of situations many in the regular world have no idea about. I want to make them aware, my way. Lately, I‘ve been inspired to tweet out some encouraging words to those on Twitter. As we wake up to daily mishaps such as school and public shootings, horrific natural disasters and mayhem of all types, I believe we all need to have something to cling to, to steady us. We need to feel as though there is hope. And sometimes, we need to feel that there is hope for us in our personal lives. So, I have been tweeting out inspirational lines on a daily basis as they come to me. Sometimes, I borrow lines from poems that have sustained me over the years. In the midst of the madness, it is easier to point the finger at others and blame rather than take responsibility for our own situations. So today, I will restate a few favorite lines from Kipling’s poem, If. 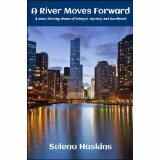 I recently read Selena Haskin’s book called A River Moves Forward. It is set in Chicago and when we corresponded, she said that she had never been to Chicago. 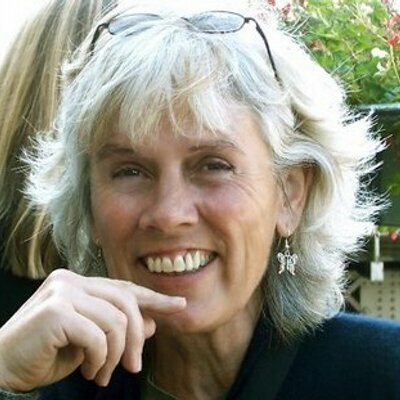 She researched it and I had vicarious experiences as I traveled through her characters’ stories in the this novel. She agreed to do the following interview. I currently live in Chicago and it brought back a lot of memories for me in both place and song. Q. 1. How did you research the Chicago landscape since you have never been there? I work with a group of Historians and Curators full-time, so I have lots of books and online databases at my disposal. I have also interviewed several people who are from Chicago between the ages of 40-60. Q. 2. What helps you visualize your characters as you get into their personalities? Selena: Once I have an idea in my mind of what they may look like. I search online images and try to find pictures that closely fit what they may look like, and I saved them into a folder. This also helps me to describe them better. Q. 3. Why did you choose to write about life in the housing projects? Selena: I wanted to show people that no matter where you live we are all humans who face the same problems everyday. I also wanted to show that just because someone is financially poor doesn’t mean they lack morals or intelligence. In fact, many of my friends growing up were from the projects and they were some of the brightest students in the class. Lastly, I wanted to show that if you’re a person living in a low-income environment with high crime, it doesn’t mean you’re hopeless or helpless. My main character was able to rise above her circumstances. Q. 4. Do you write in longhand or on a computer? Computer. I used to write both ways, but that was too much work. LOL. Q. 5. How do you get into the mood or zone as you put words on the page? I write whenever the mood captures me or if an idea comes to my head.